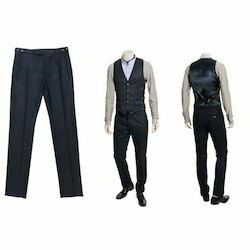 Vicky selection company comes involved with the fabrication and supply of various mens Trousers Collection that have to their name the brand and perfection of various backgrounds and industrial forms. We have been importing high quality fabrics to achieve a form of quality in our tailoring. We also have to our name the promise of quality machines that could deliver quality on the short and long run exclusively. We have on offer a large collection of mens trousers that have to their name the brand and perfection of various backgrounds and industrial forms. We have been importing high quality fabrics to achieve a form of quality in our tailoring. We also have to our name the promise of quality machines that could deliver quality on the short and long run exclusively. 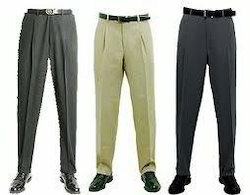 We supply trousers as per the customers requirement.